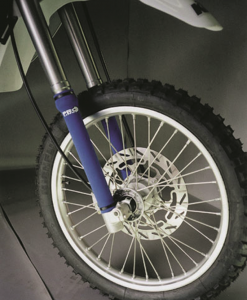 Designed to protect and wipe clean front fork suspension legs helping to prevent expensive damage to fork seals. 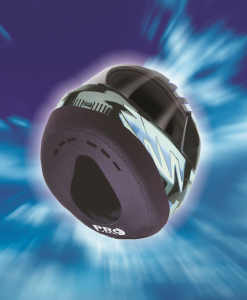 Manufactured using a double lined, supersoft, flexible Neoprene fabric. 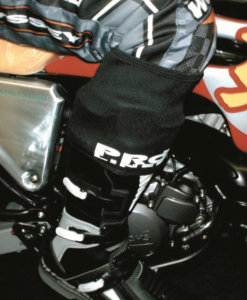 The material itself with its high elasticity and ample flexibility properties, is machined into a short tube using a double stitch method, protecting fork seals against mud, grit & the elements. Designed to fit closely against the fork leg, the base of the tube is then stretched over the slider and secured by means of a zip tie. Suitable for most motorcycles with conventional suspension or upside down forks (USD). 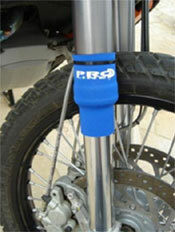 Prevents damage to fork seals etc by continually wiping the fork leg . 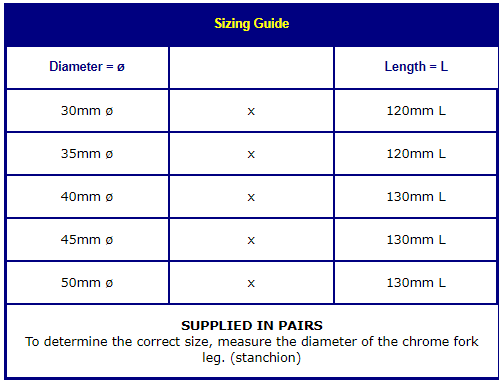 Available in nearly all popular fork leg diameters. 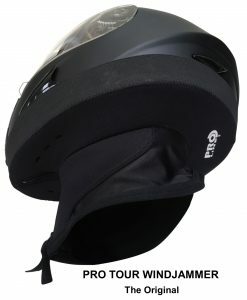 STOCK COLOUR is BLACK, all colour variations available as shown within 3 days.